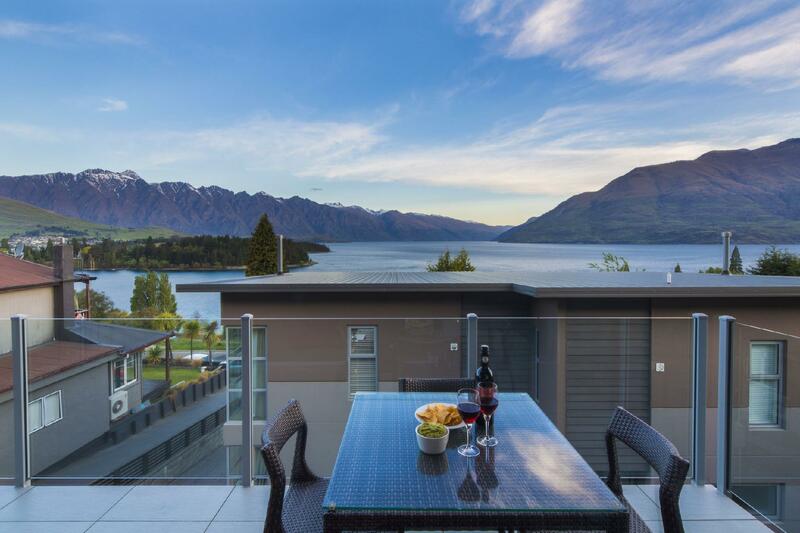 يحظى فندق LakeRidge Queenstown بمكان متميز في محور المدينة والاستمتاع بـ سياحة, مطاعم, رياضات في هذه المنطقة الفاتنة. يحظى هذا الفندق ذو 5 نجمات بمكان ممتاز يسمح بالوصول إلى المعالم السياحية الأكبر في المدينة، فهو يبعد مسافة 1 km عن صخب المدينة. يوفر العقار بفضل موقعة الجيد وصولاً سهلاً إلى أهم معالم المدينة.
. إن الخدمات الممتازة وحسن الضيافة العالي في LakeRidge Queenstown تجعل إقامتك تجربة لا تنسى. يمكن للنزلاء الاستمتاع بالميزات التالية: واي فاي مجاني في جميع الغرف, مدفأة, توصيل من البقالية, مطبخ, تسجيل وصول/خروج سريع أثناء إقامتهم في هذا المكان الرائع. بالإضافة لهذا، تتضمن كل غرف الضيوف مجموعة واسعة من وسائل الراحة . بعض الغرف توفر حتى تلفزيون بشاشة مسطحة, حمام إضافي, مرحاض إضافي, رف للملابس, بياضات لإرضاء أكثر الضيوف تطلبًا. كما أن مجموعة الخدمات الواسعة الموجودة في الفندق لضمان راحتك تترك لك الكثير من الخيارات لقضاء وقتك أثناء فترة إقامتك. إن كنت تتطلع إلى إقامة مريحة وهادئة في المدينة، فستجد في LakeRidge Queenstown بيتك الثاني. يجب ترك الشقق نظيفة ومرتبة مع التخلص من القمامة عند المغادرة. إذا تطلب التنظيف ساعات إضافية، أو إذا كانت هناك حاجة لتكاليف إضافية لإعداد الشقة للنزلاء التالين، فسيتم فرض رسوم بقيمة 50 دولارًا نيوزلنديًا في الساعة بالإضافة إلى أي رسوم إضافية. يمكن توفير خدمة تنظيف إضافية مقابل رسم إضافي. ويجب الحجز مُقدمًا. تخضع الرسوم الإضافية للتغيير وفقًا لسياسة الفندق. يُرجى الاتصال بالعقار مباشرةً للحصول على مزيدٍ من التفاصيل. ستترتب على الأطفال بعمر 6-8 سنوات تكلفة بقيمة JPY 10,800 لكل طفل لليلة الواحدة عند استخدام الأسرّة الإضافية مع وجبتين. ستُفرض رسوم على الأطفال الذين تتراوح أعمارهم بين 9 و11 عام/أعوام قيمتها 70% من سعر الفرد البالغ مع توفير سرير إضافي. تتوفر خدمة تنظيف الغرف عند حجز ثمانٍ ليالٍ أو أكثر. يمكن توفير خدمة تنظيف إضافية مقابل رسم إضافي. We really love this condo. Complete equipment. Incl kitchen equipment. There are microwave, oven even rice cooker , salt, pepper, etc. There is Netflix besides the tv channel. Excellent view to the lake. Our apartment is in second row. Fire place is also nice. Very clean, laundry n dryer are very good. We got everything we need within the apartment, very clean & well maintained. Walking distance to city. Highly recommended! Lovely place to living. We got 4 adults, 1 child and 1 infant living in this awesome apartment. Got all the cooking ware and nice view on the deck. It also easy walk to the wharf and downtown area. The view from the balcony is amazing as per the photos. 10 - 15 mins walk to city centre. Good if you have a car , if not there are quite a number of uphill roads that you would need to walk up to reach the apartment from the city centre. Taxi fare is $10 from the city centre. Loved our stay here. The property is located up the hill about 20 mins walk to town center. It's highly priced for a semi serviced apartment. The view of the lake is good from balcony but beyond that nothing special. We weee surprised we even have to tidy up before we leave and throw away all the rubbish which is not a hotel/ motel you expect for this price paid. Wifi didn't work on the 1st day & TV wasn't working properly (no volume), staff was able to fix the wifi but TV's volume problem was on & off. It was a good stay overall. We travelled to Queenstown for a wedding so we had four glorious days in Queenstown. The property is as you see it on the webpage. Its a very good Condo. Only issue we had was the dishwasher played up but the staff we promt to fix it. Would highly recommed this place. Generally it was a wonderful stay but a bit puzzled by the fact that there is one complete wash room, one toilet with toilet bowl only and third one with bathing facility only. It may be a problem for big group/family. Very nice stay, though not a hotel. It's a 3 BR condo, so very self-service oriented. Has all you need to be self-sufficient, including washer/dryer and very nice kitchen. Strange bathroom layout, but not a big problem. Very clean and spacious. Close to city center and great dining, 10 minute walk, but be forewarned of the hill to climb on the way back. The view from our unit was partially obstructed by the building in front. The staff was super helpful, including booking activities over the phone on our way down to Queenstown. Was a given a room at the highest block and the view was partially obstructed by those in front. A tad disappointed. Went over to a friend's at the lowest block and the view was perfect, exactly what I was expecting. So which unit you get absolutely matters! That aside, comfortable stay with fuss free check in check out procedures. Clean rooms, though small. Quick drive to the town center. Wonderful place. Just perfect for a family. Clean, comfortable, well appointed, and laid out in a way to give space. I especially loved that it was two levels, gave us a chance to spread out a bit. The family room/kitchen dining area is a gem. There is not much I would change about the apartment itself, but there are two things you should be aware of-not deal breakers, but certainly worth considering. 1) This is located on a pretty significant hill. If you are planning on parking the car and walking to Queenstown do some stretching. 2) This apartment is located in a neighborhood-with real people making real people noise. We were fortunate to have the front unit. I can't speak to what the other units experience for views, but there is no way to improve upon the views of this first unit. in a word, stunning. My family came to Queenstown for leisure and sightseeing, after a tiring day we felt so relaxing and comfortable when we returned to LakeRidge. It was a marvellous condos for family. nice stay with my family in LakeRdige, nice lake view from the balcony. 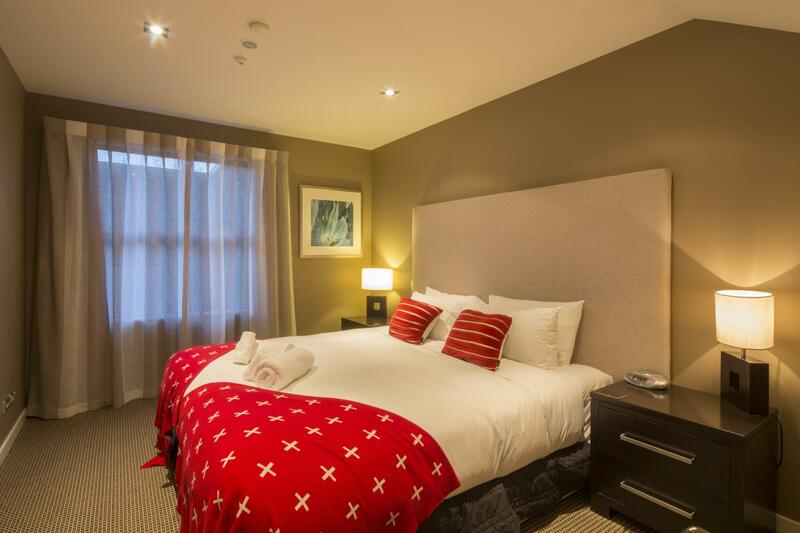 Our stay in Queenstown has always been great! this time, Lakeridge made it even greater! it has a great view, and we will return! This a new apartment complex, beautifully appointed with amazing views over the lake, mountians and township. About a 5 - 8 minute walk to town. 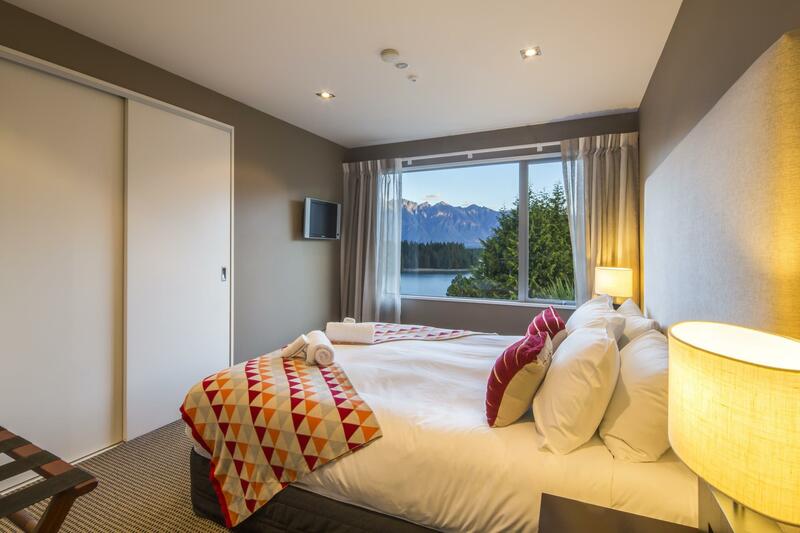 Enjoyed the hassle-free and relaxing ambience with views over Lake Wakatipu.